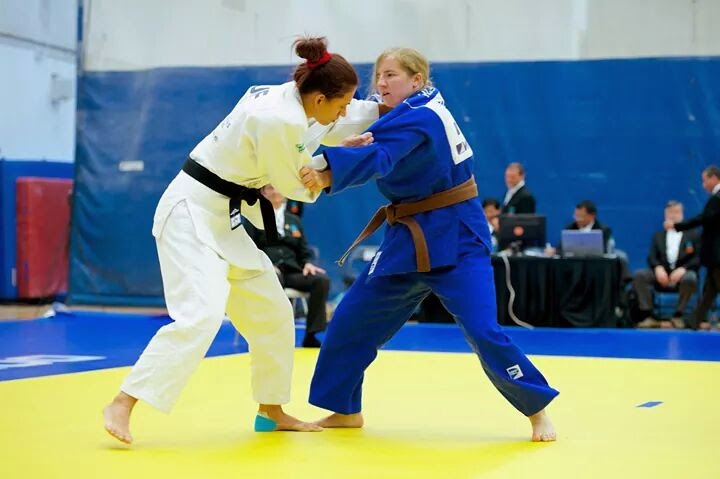 The ISBA Judo World Championships took place at the USA Olympic Training Center in Colorado Springs, Colorado on September 4-5, 2014. Team White Dragon came poised and ready for what is to be the most highly anticipated tournament of the year. The team is coached by Eugene Hamilton. Hamilton has dedicated countless hours of time and practice to develop these judo players into world class competitors. Over 25 countries were represented at this international tournament. This judo competition is the first qualifying event for the 2016 Paralympic Games. Adnan Gutic, the two time reigning U.S. visually impaired national champion, got off to a slow start in the 81kg category. He picked up the pace in his second match, winning it via pin. Gutic fell just short of placing in this competition losing his last match by shido. Marissa Arndt has come a long way to make an appearance at her first international competition. All the prayers and training paid off for this Wisconsin native. Arndt faced a talented 57kg bracket. Though she did not medal in this competition, the young judoka can take this experience as fuel to make another World Championship run. No doubt about it, these judokas will be training hard for next year’s World Championships and will not come home without a medal.